This morning, treasured icons Joanna Lumley, Twiggy and Hayley Mills teamed up with PETA to rush an urgent letter to Harvey Nichols CEO Stacey Cartwright calling on the retailer – which recently abandoned their decade-long fur-free policy in order to start selling "Origin Assured" fur – to rejoin virtually all other UK department stores in banning fur. In their letter, the British beauties remind Cartwright that all fur is the product of a bloody, violent industry and that consumers are being deceived by the store's preposterous claims of selling "humanely and ethically" obtained furs. Wherever the fur came from, animals suffered for every coat, bag and accessory made with fur that's sold by Harvey Nichols. The letter can be seen here and comes in addition to the nearly 40,000 other letters and e-mails that PETA supporters have sent to Harvey Nichols. "Wherever the fur came from, animals suffered for every coat, bag and accessory made with fur that's sold by Harvey Nichols", says PETA Director Mimi Bekhechi. "As chief executive, Ms Cartwright has the power to end the company's support of this shamefully violent industry, and PETA are encouraging her to do the right thing for animals and consumers by joining Selfridges and Liberty in going fur-free." The "Origin Assured" label was created by the fur industry itself following years of plummeting sales. While the label attempts to reassure the public about the treatment of animals raised and killed for fur, a recent exposé (see below) by PETA narrated by Paloma Faith reveals the tremendous suffering of animals whose fur bears the label. 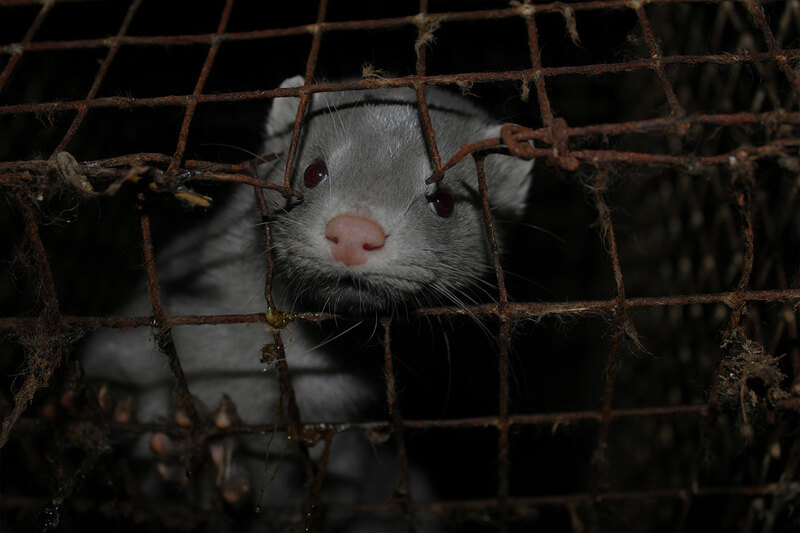 It shows that on fur farms in Finland, Sweden, the US and other so-called "Origin Assured" countries, animals such as raccoons, rabbits and minks are kept in filthy wire cages – sometimes alongside the rotting corpses of other animals – and left to suffer from untreated injuries, including missing limbs. Frightened and distressed, they often mutilate themselves and others in their cage. These animals are then slaughtered – just so that their skin can be made into clothing. For more information about "Origin Assured" cruelty and to join PETA in asking Harvey Nichols to reinstate their fur-free policy, click here.